Students first began to attend organised schooling in this area in 1867, in a small chapel on the cnr of White Swan Rd and Alkera Rd. This school was known as Dead Horse Common School No 887. 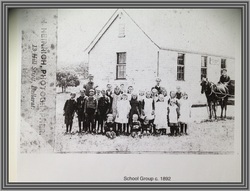 In 1873, Dead Horse Common School was renamed Invermay State School. One hundred and forty years later, Invermay Primary School No. 882 continues to service the academic and social needs of our local community.